Balancing Chloe: What I Ate "Tuesday"! I think this weeks WIAW post deserves a hip hip hooray, and want to know why?! Because I finally managed to record Tuesdays eats and drinks. Woohoo :-D Very proud of myself for remembering yesterday. The only things missing are a couple of grapes and a slice of Chicken sandwich meat. Yay yay yay. So today you will be seeing everything I ate yesterday. It definitely won't depict a picture of health but it's what I ate and I am going to be true to it and not add anything in or out. It's always hard for me to show people the "not so perfect" side to me, but it is what it is. Without further a do, here are my eats and drinks. With Normal Tea (just milk). Later in the day I enjoyed some Honey Tea. A favourite of mine again! 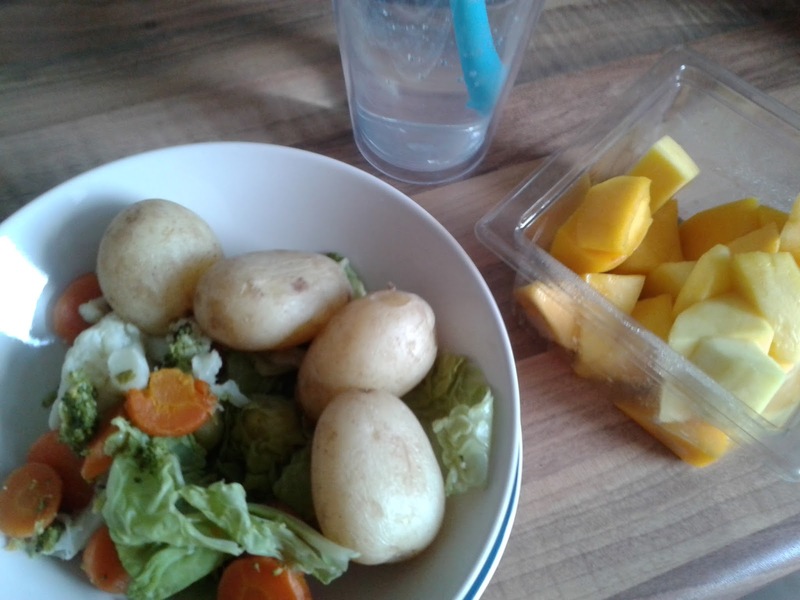 Raspberry and Green Tea Water (Still), Boiled Potatoes with leftover Veg, and Mango. This stuff is amazing. It's the first time I have tried it and I an impressed. 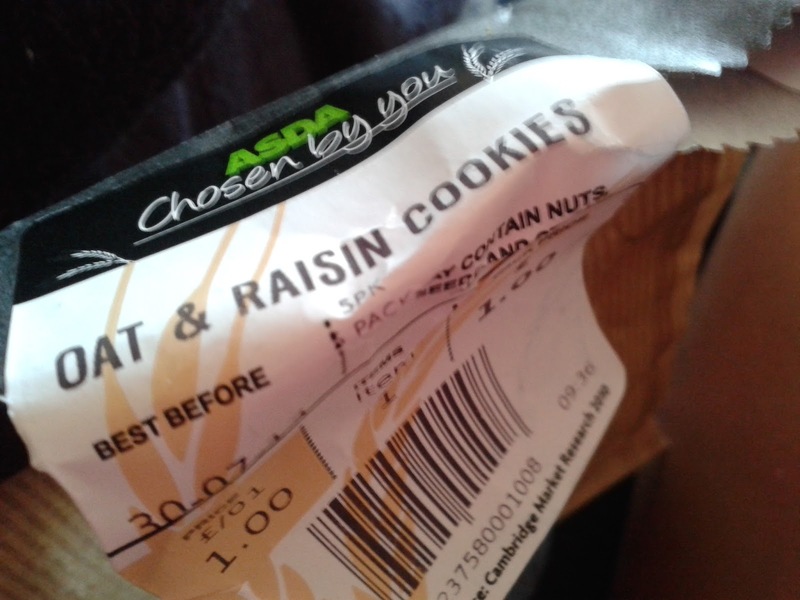 This is from Asda and I would highly recommend it. 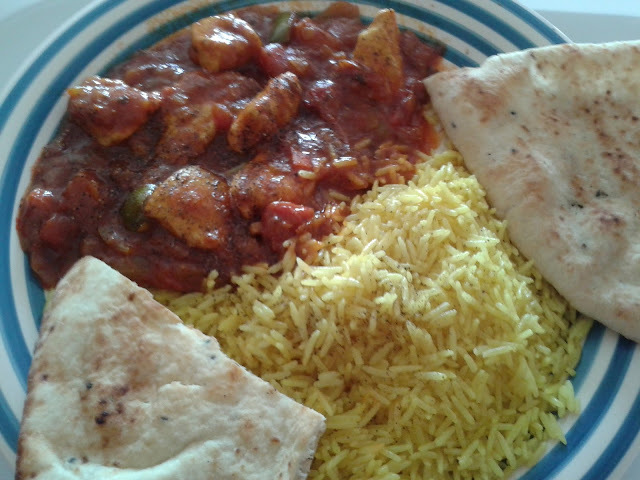 Chicken Jalfrezi (Curry) with Pilau Rice and a Naan Bread. It Hit the spot! 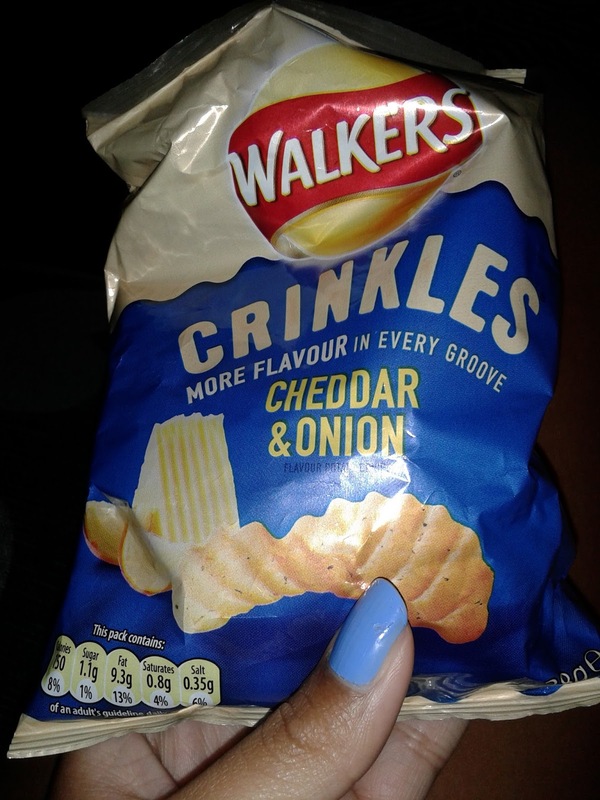 Craved these later on in the night! 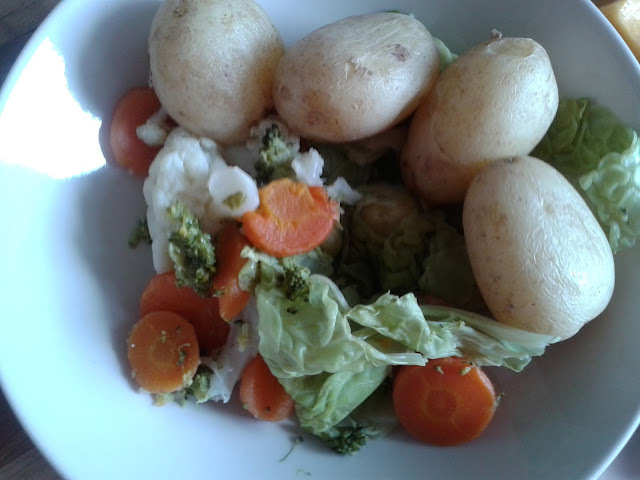 In August I have a goal to eat better but for this last day I am going to ease myself into it. But there will definitely be an "August Goals" post coming soon. Stay Tuned. Anybody else have plans to eat better in August? Or are there any particular goals you are setting yourself to achieve before next WIAW? 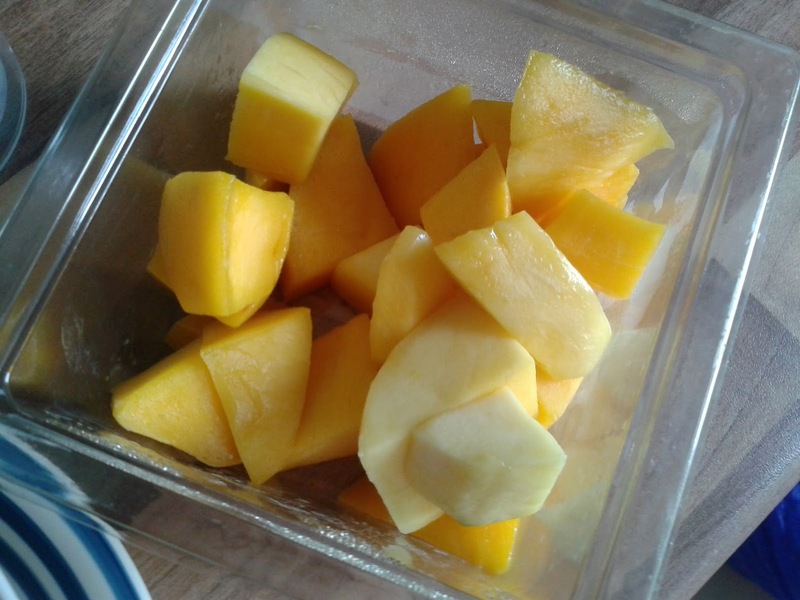 Does anyone else always start their day with a piece of fruit? I always have a banana. Don't know why. I guess I am too impatient to wait for breakfast to get done! 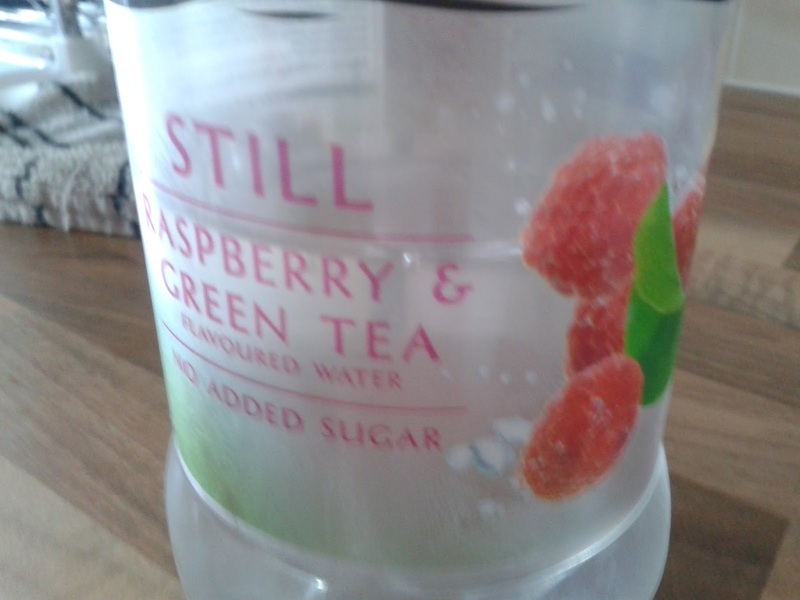 I love that raspberry & green tea water from Asda its so good! My breakfasts are always really complicated haha! It is can't belief I haven't tried it before, definitely going back for more!